I have been running the UPD cold air induction kit on my car for a while now and this is an easy way to increase HP and cold air flow into your hungry turbos. Comes with high flow air filters and all parts to cleaning increase air flow into the filter box and under the filter media. Kits are available for most all v8 Mercedes/AMG from 2003-2016. All new German stainless hardware to replace oem bolts. over 35% air flow increase with UPD cold air boost kit. Last edited by Exotic-metal55; 02-01-2016 at 04:25 PM. Interesting. Can you provide more information. Does this work with a larger than OEM turbos? I have larger AMS turbos and I'm sure they would love more air. I been running the UPD cold air boost kit on my car for a while now and this is an easy way to increase HP and cold air flow into your hungry turbos. Comes with high flow air filters and all parts to cleaning increase air flow into the filter box and under the filter media. Yes sir, larger turbos will need more air and a lot more of it to say the least. Even just adding a tune will increase air demand. Here is a side of view. The inlet airflow into the stock air box is very un-even and restricted. 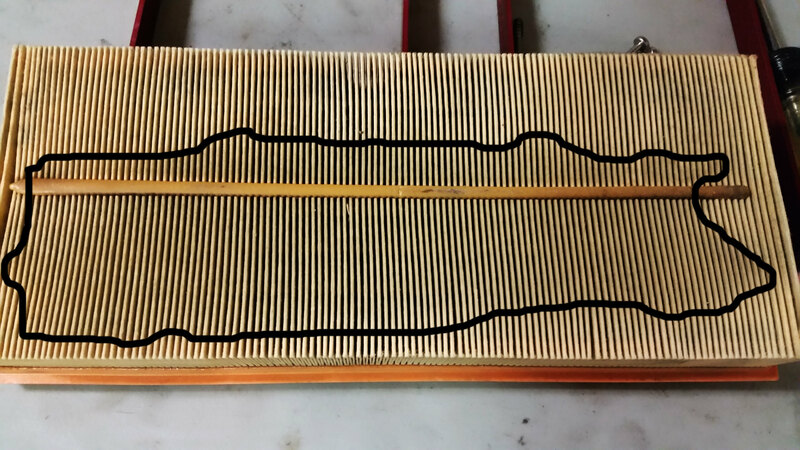 You can look at an air filter after it has been used for a while and see dirt line on the filter only covers part of the filter and showing the whole filter is not receiving maximum air flow. Last edited by Exotic-metal55; 01-26-2016 at 09:31 AM. Cool concept, do you have it in black? 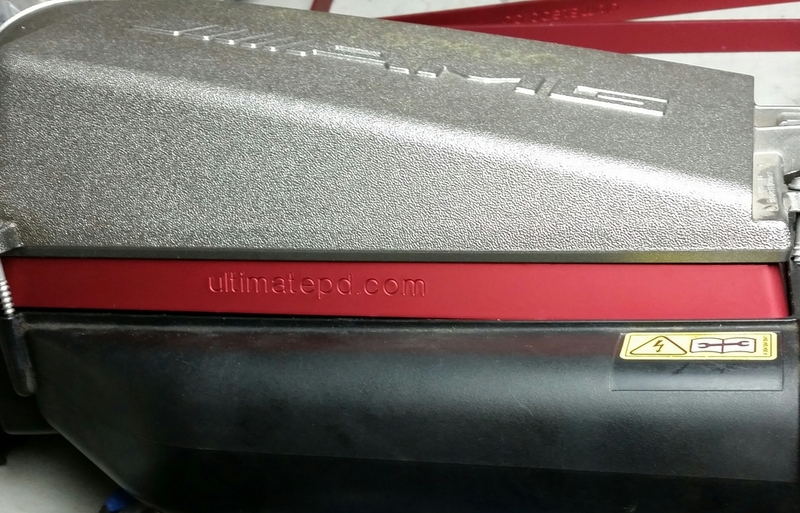 The airbox frames are all aluminum and hard coat anodized in blood red but they are easy to spray paint in any color you desire, for that custom look. Interesting. Do you have any evidence of performance gains? Please post a before and after dynograph. 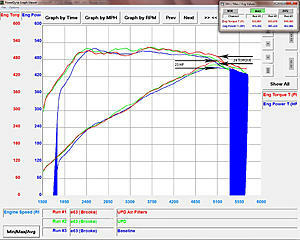 Do you have a before and after dyno result? I'm sure members would be interested if there are proof of the results. Thanks. interesting - so it's like the phenolic spacer trick to raise the intake a little bit (but includes a filter) and north of the throttle body. how much more volume is added ? Toadster	interesting - so it's like the phenolic spacer trick to raise the intake a little bit (but includes a filter) and north of the throttle body. Not really like the phenolic spacers but like a aftermarket cold air induction kit that keeps the OEM look. This is achieved by using a bracket to increase air box volume , lift filters above air flow inlet , smoothing air flow out and coupled with a high performance air filter that are tested to hold up to the increased air flow. About 30% into the inlet over OEM and about 40% into the lower air box. I picked up 26 hp with my CL55 UPD air air boost induction kit and for some reason AMG made the biturbo filters smaller than the 55 supercharged engine and even the AMG 6.2Litre engine, even though the biturbo engines make more power and need more air. Since you asked. Here are my dynos on my car. Blue is baseline and red is with the cold air induction kit. These are easy cold air induction kits to bolt on, pick up some power and for only $$450.00. Can be installed in 20 minutes or removed if you need to visit a shop incognito. Last edited by Exotic-metal55; 01-26-2016 at 09:36 PM. So basically , you claim that these filters are better designed and improve performance than bmc or k&n? There are a handful of aftermarket filters that fit our cars and we tested our filters and know they work the best for our kits. There are some good filters and some not so good filters out there. I was referring to the air seal , how they seal in the air box and how that effects how much air pressure they can take. People have posted about X brand filters coming part on them and some filters seals also can disintegrate , depending on seal material quality. This kit helps inlet air flow but also since all our AMG air boxes are angled, half the air filter basically rest on the bottom of the air box , so not matter what filter you have, you get inlet restriction and even larger restriction inside the airbox. This kit opens all that up. 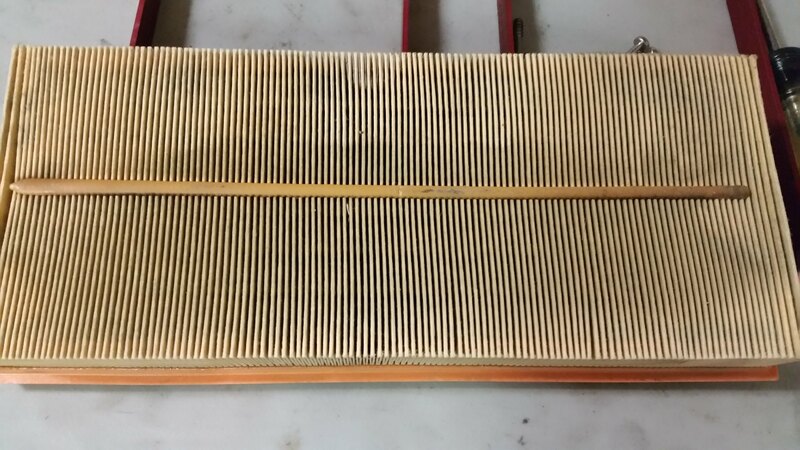 Typical K&N filter next to stock. A tad shorter but still blocking inlet and most of all 30 to 40% of the air under the filter is restricted. Here is an AMG lower air box and you can see the angle of the lower box. 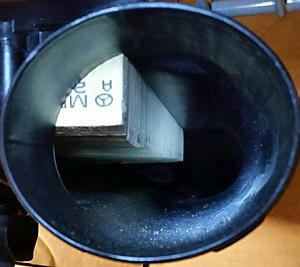 Once you set a filter in the lower box, the air is restricted over 30% over the lenght of the whole filter. Pull your filter out the box and you will see that only 50%-60% of it is filtering air. 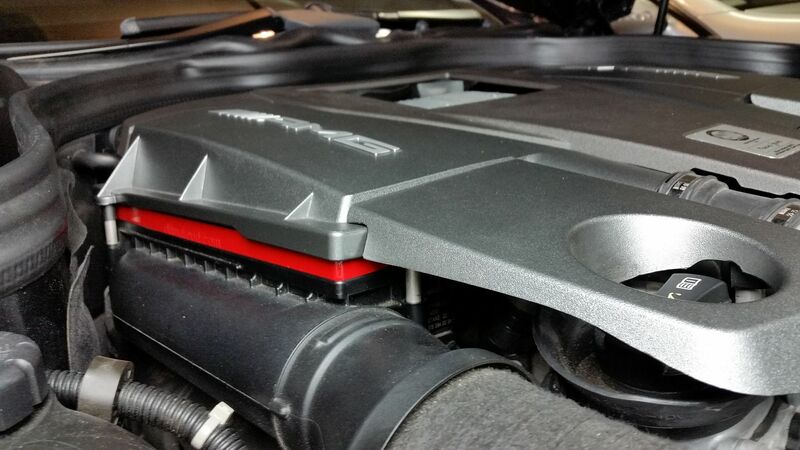 This Chokes the engine off big time on a 550 plus HP engine with hungry turbos under boost! Last edited by Exotic-metal55; 01-27-2016 at 09:46 AM. Can you hear the difference as well? Kind of what I imagined they would do. Not as much on the low-end, but hold torque a bit longer on the top (more high rpm horsepower gain!!!). I think there will be a bigger difference on the tuned cars as well since the tuned cars have MASSIVE torque drops as the rpm climbs. any dyno runs without a filter at all to showcase fully unrestricted air volume? 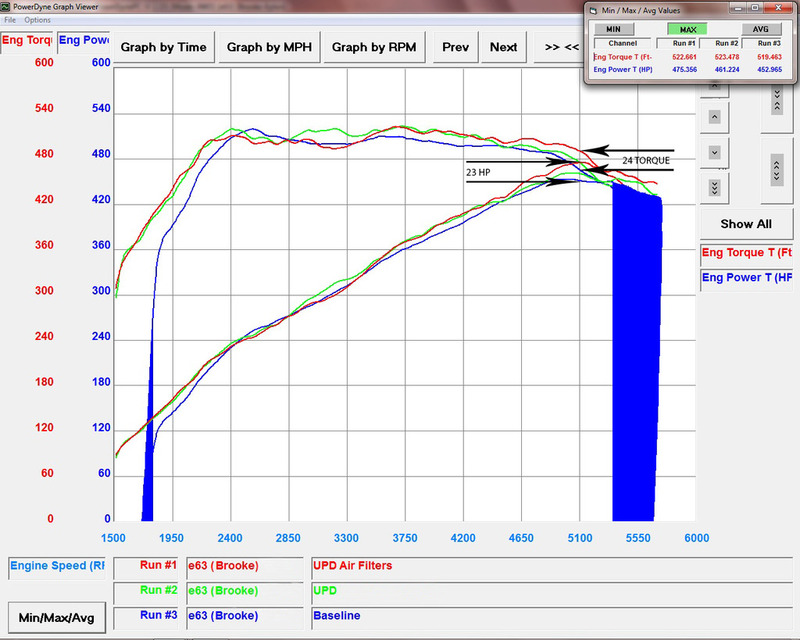 You do a dyno test and have a graph of the Green Filter upgrade only in the factory airbox without the aluminum spacer? kponti	Kind of what I imagined they would do. Not as much on the low-end, but hold torque a bit longer on the top (more high rpm horsepower gain!!!). Yes and working on doing a big tune next, track times, mile times and more dynos. toadster, did not run with no filter, as noone wanted to chance dirt going in the turbos and sometimes with no filters, turbulence can go up. Hurry up and get you a Biturbo. Filters were worth 6hp alone . How did you measure a 35% increase in flow? Last edited by blackbenzz; 01-28-2016 at 10:32 PM. I had the BMC Filters in my E63 and my Turbo maker said that the BMC damages the turbo because it lets dirt come into the turbocompressorwheel and damages it. How You Can insure that These green filters are safer? Ok it could be gain more hp but how is the safety compared to stock oem filters? I recently changed my filter from stock to K&N and while I did not feel like I gained anything (hard to tell ~10hp on a ~600-700 horsepower car), I did notice that my dirty stock filter was almost a full 1/3 clean over the part against the shallow end of the airbox. Last edited by kponti; 01-29-2016 at 09:01 AM. Hey James, your filters look like this? This one had only 6K on it but you can see how much dead air space there is. Also , since our intakes draw open air form the front, they do get a added ram air effect at speed on the road/track that does not show up in a static position on the dyno. I would do back to back runs at the strip in the spring, with and without this kit. Last edited by SilveRT8; 01-31-2016 at 10:58 PM.